Simon & Schuster, 9781501141522, 528pp. The revelatory and wildly bestselling memoir by legendary rock star Bruce Springsteen: “Glorious…a philosophically rich ramble through a rock ’n roll life…It’s the lyric he was born to write” (USA TODAY, 4 out of 4 stars). Over the past seven years, Bruce Springsteen has privately devoted himself to writing the story of his life. The result is “an utterly unique, endlessly exhilarating, last-chance-power-drive of a memoir” (Rolling Stone) that offers the same honesty, humor, and originality found in his songs. Rarely has a performer told his own story with such force and sweep. Like many of his songs (“Thunder Road,” “Badlands,” “Darkness on the Edge of Town,” “The River” “Born in the U.S.A,” “The Rising,” and “The Ghost of Tom Joad,” to name just a few), Bruce Springsteen’s autobiography is written with the lyricism of a singular songwriter and the wisdom of a man who has thought deeply about his experiences. “Both an entertaining account of Springsteen’s marathon race to the top and a reminder that the one thing you can’t run away from is yourself” (Entertainment Weekly), Born to Run is much more than a legendary rock star’s memoir. This book is a “a virtuoso performance, the 508-page equivalent to one of Springsteen and the E Street Band's famous four-hour concerts: Nothing is left onstage, and diehard fans and first-timers alike depart for home sated and yet somehow already aching for more” (NPR). Bruce Springsteen has been inducted into the Rock and Roll Hall of Fame, the Songwriters Hall of Fame, and the New Jersey Hall of Fame. He is the recipient of twenty Grammy Awards, the Academy Award, and the Kennedy Center Honors. He lives in New Jersey with his family. 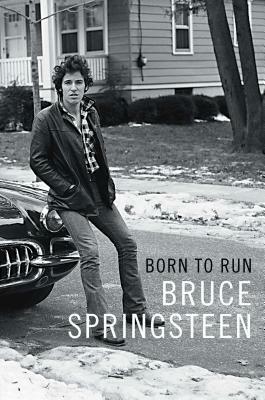 “Springsteen can write—not just life-­imprinting song lyrics but good, solid prose that travels all the way to the right margic...And like a fabled Springsteen concert—always notable for its deck-clearing thoroughness —Born to Run achieves the sensation that all the relevant questions have been answered by the time the lights are turned out. He delivers the story of Bruce—in digestibly short chapters—via an informally steadfast Jersey plainspeak that’s worked and deftly detailed and intimate with its readers—cleareyed enough to say what it means when it has hard stories to tell, yet supple enough to rise to occasions requiring eloquence—sometimes rather pleasingly subsiding into the syntax and rhythms of a Bruce Springsteen song." —Richard Ford, The New York Times Book Review. "Kinetic...The ultimate rock star shares like he's got one last chance to make it real. It's like sitting next to Springsteen in the campfire light hearing his life story -- you'll be begging for another exhilarating refrain." "A master storyteller.... the language of his memoir often sings and leaps off the page with alliteration and pulse, especially when he's rhapsodizing about rock 'n' roll." “Where Springsteen soars — both as musician and writer — is in his ability to bear witness, not only to his own inner life but to the lives of those left behind in the post-industrial wastelands of this nation. Springsteen made it out of Freehold, but he never turned away from the ‘grinding hypnotic power’ of the place and its people. Born to Run’ documents the unlikely rise of a rocker hellbent not on escape, but on reckoning with the moral failings of the world he was born into." "He must be conceded a magic with words: He can spin not only a yarn but often an extended analysis, too.... His disclosures here are rich, deep, and useful to help destigmatize mental illness."